Hand Carved from Genuine and Natural Hematite Gemstone. 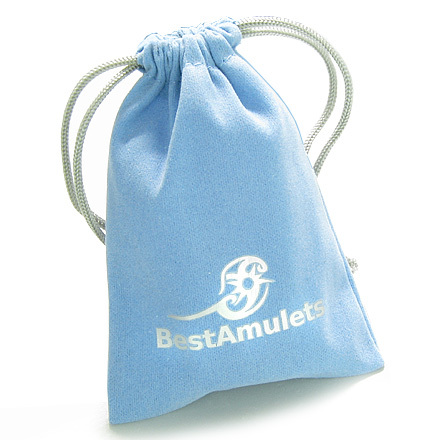 Come with Exclusive Best Amulets Velvet Pouch. Gemstone Carving Size: About 2 Inch (+/-). Gemstone may or will have Natural Specks and Inclusions. Due to Handcrafted Nature, each Gemstone Carving will be Unique and no two pieces are ever alike. 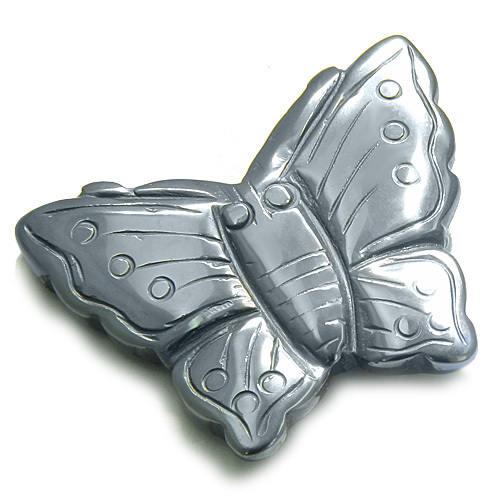 This is Very Special and Individual Lucky Butterfly Gemstone Carving made from Genuine and Natural Hematite Gemstone. This LUCKY Figurine is Evil Eye Protection Amulet and Brings Good Luck and Healing Powers. The Butterfly is a universal symbol for intense transformation for the better. Some say that the butterfly represents the spirit or the essence of the individual: the Soul. Butterflies are generally symbols of transformation because they go through a metamorphosis. They are beautiful, evasive, and, at times, inspiring. Your unconscious mind may be pointing out the most positive part of yourself or another. If Butterfly is your Power Animal or if you feel in any way attracted to it, this means you are ready to undergo some kind of transformation - you should Whisper your secret wish to a Butterfly and it will carry your desire to Great Spirit to be granted. Having given this sweet creature to the Universe, your wishes will be fulfilled in return . And so the Butterfly is a potent symbol of rebirth and renewal, particularly of the spiritual self. In world mythology, the Butterfly represents variously the journey of the spirit from life to life, the physical form of the soul searching for a new incarnation. In some legends the butterfly is the bringer of sleep and dreams, in others the symbol of feminine fertility and the bringer of children. It Also relates to Love relationships. If you feel that you Life needs a Change, whether its Love, Money or Family Situations, then you should Definitely get one as a Good Luck Totem.